I say international because I have brought together Mexican, Italian and French influences for this breakfast dish. 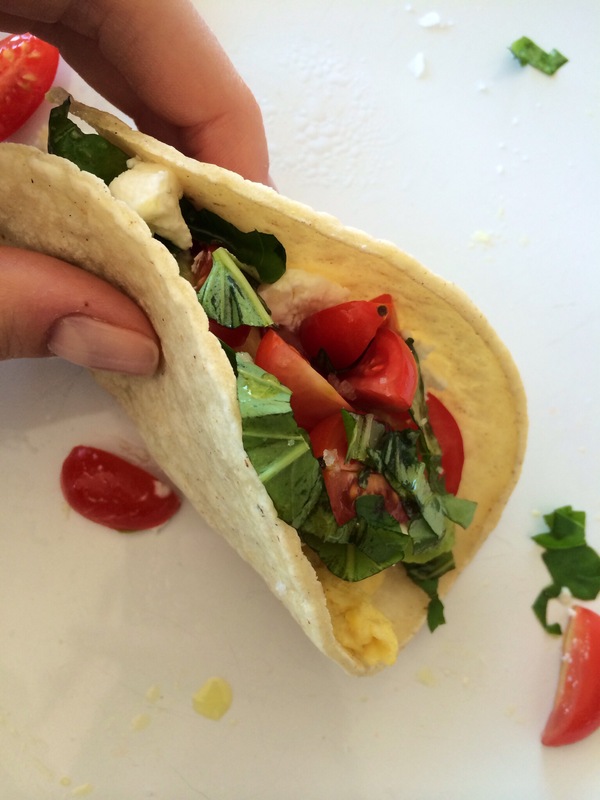 I love tacos, especially for breakfast as they really break up the boring breakfast routine. These are so versatile. You can add any type of protein, cheese, herbs and veggies. Using corn tortillas keep the dish wheat free and low in carbs. After my run this morning, a protein packed breakfast is exactly what my body craves. This was on the table in 5 minutes. And disappeared in about 2! 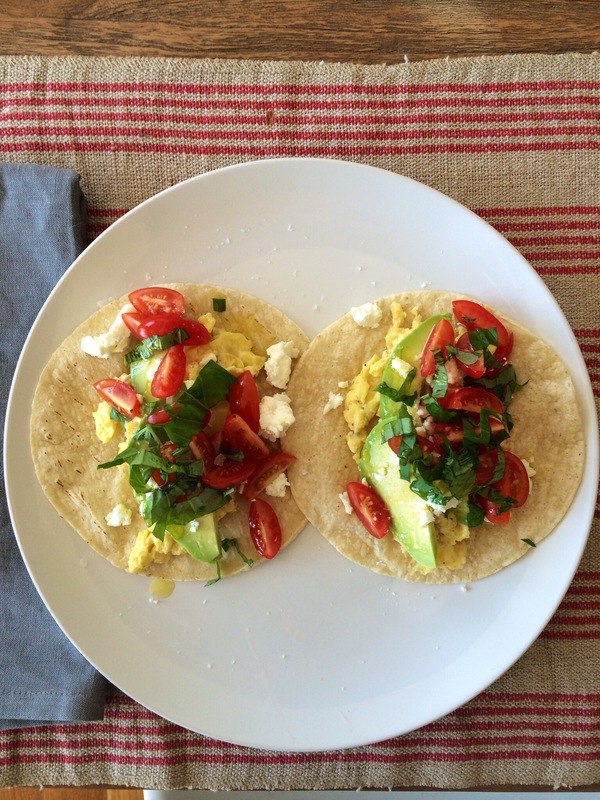 Ensemble the eggs on the tortilla shells, add the avocado and tomatoes and crumbled chèvre, sprinkle on the basil. Add s&p and drizzle with olive oil. 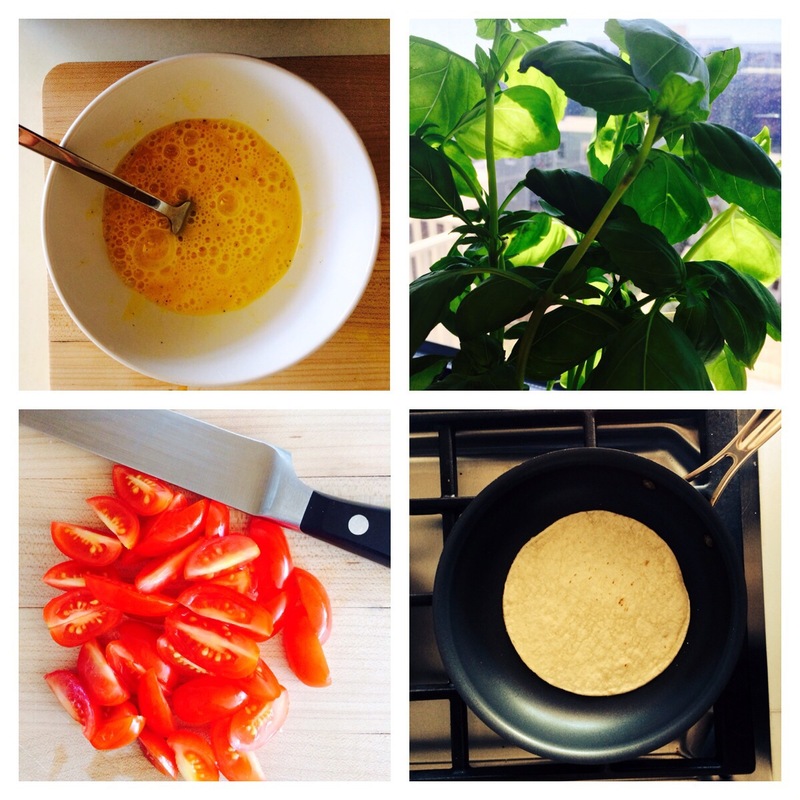 This entry was posted in Breakfast and tagged best breakfast, breakfast, easy, eggs, healthy, model diet, protein, tacos, Vegetarian on April 10, 2014 by Kelly O'Dell.